Happy *ALMOST* May the Fourth! For those of you who have NO CLUE what I’m talking about, May fourth, also known as May the Fourth, is International Star Wars Day. And if you hadn’t guessed already it’s a play on the quote “May the force be with you”. I’m a bit of a fan girl myself, so I couldn’t let an opportunity like this pass by. 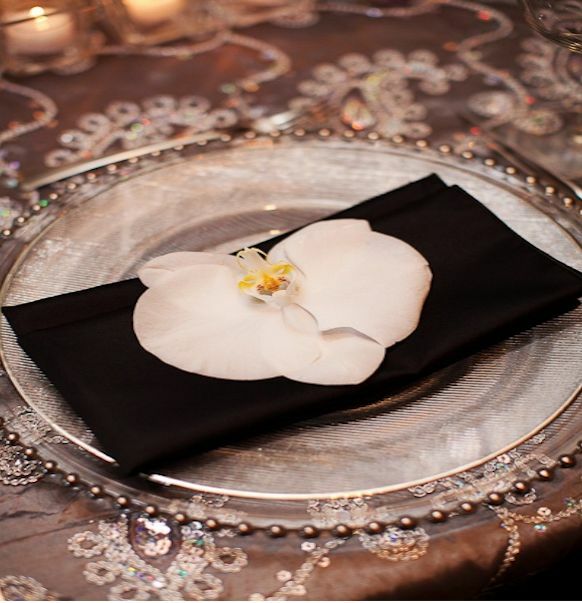 I love alternative and geek weddings, so I knew I had to make one HECK of an inspiration board for this holiday. 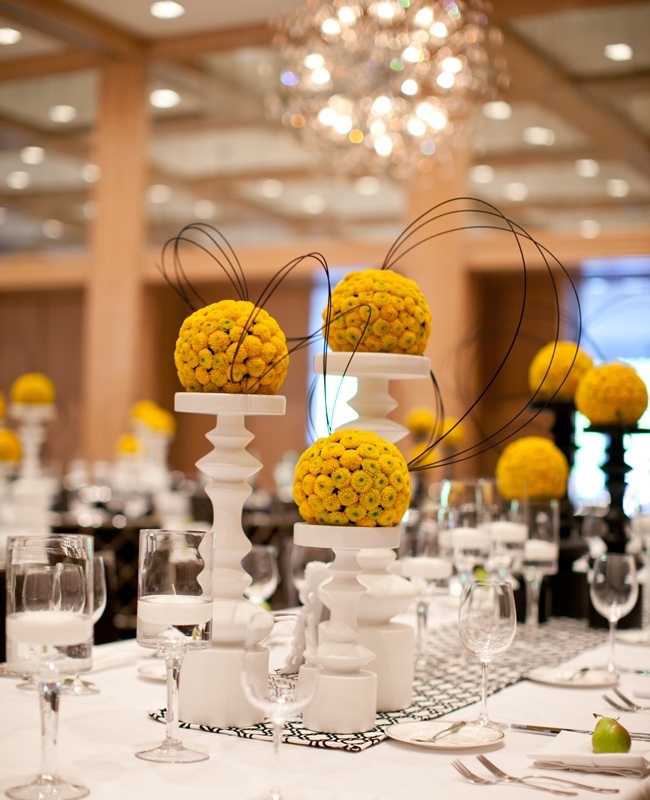 I decided to do a play on the colors of Star Wars, the notably black, white and yellow, and turn it into a wedding for the modern fan couple. 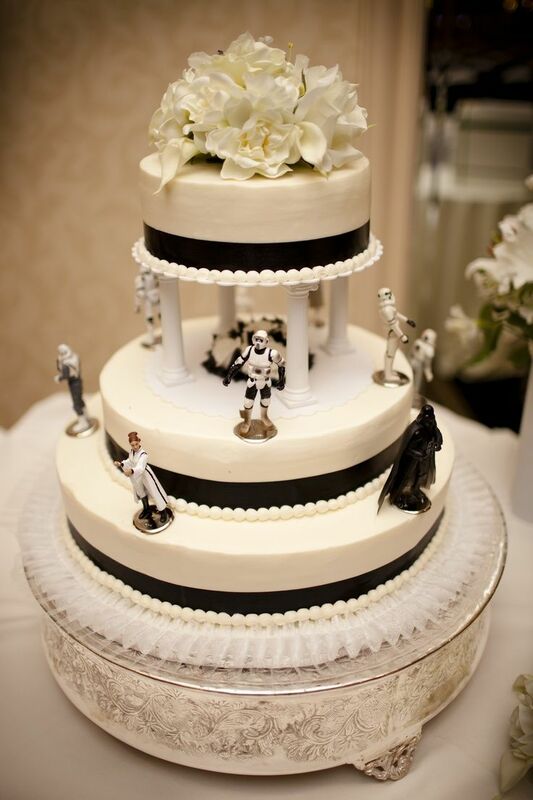 While there are lots of Star Wars details and elements involved, there are still lots of traditional elements of a wedding, like a cake, floral, etc. that have had a bit of a geeky-god-mother-twist on them. 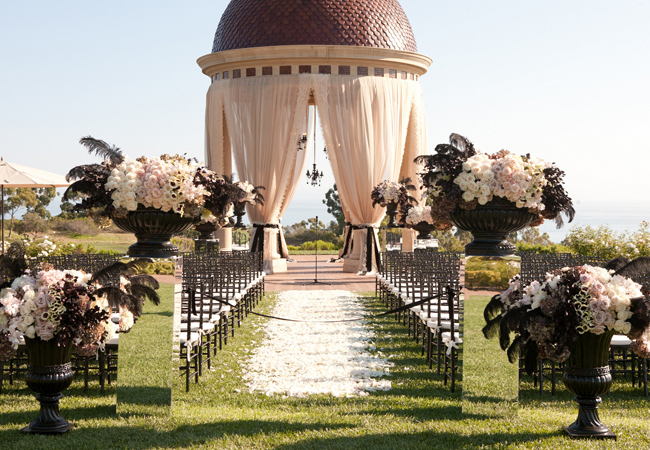 For example, take a look at the gorgeous wedding ceremony spot I found. 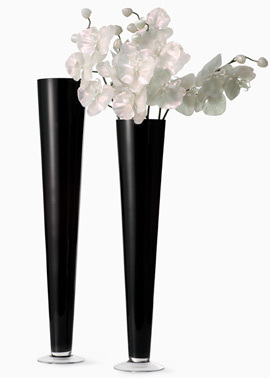 It completely looks like Padme Amidala could walk by any moment to head over to the lake. 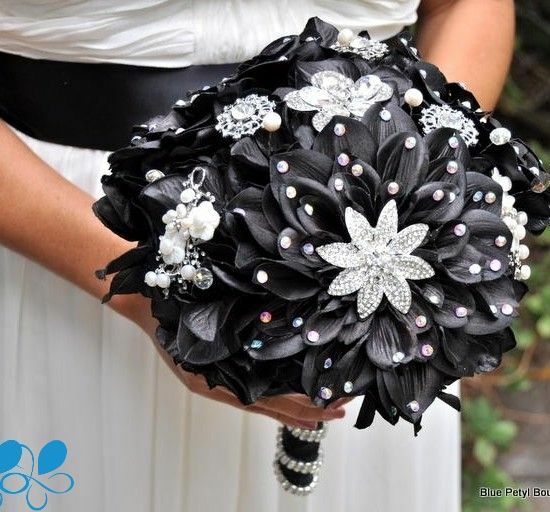 I love the black floral details in it, don’t you? 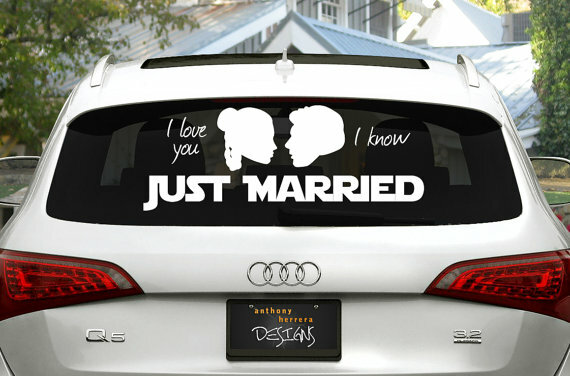 Would you have a Star Wars wedding? 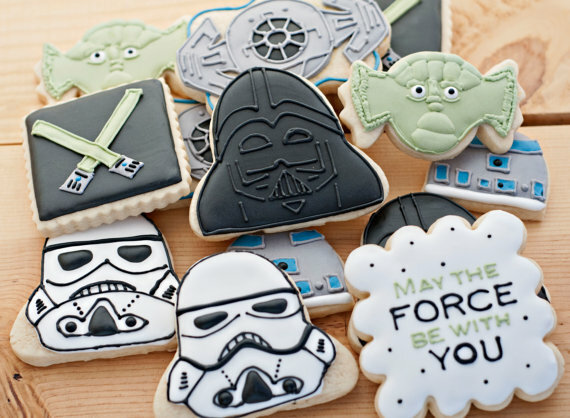 Loved this post and all of the great Star Wars ideas on it! 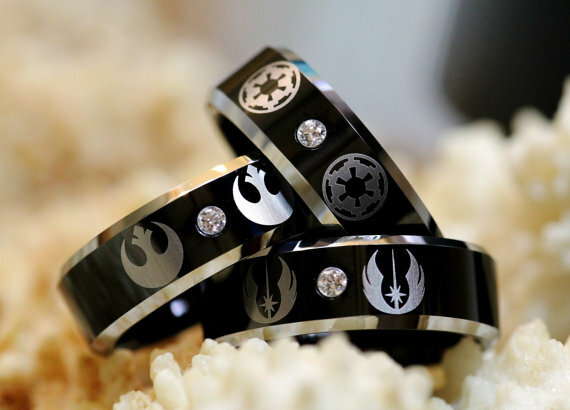 My future husband just got the Jedi Order symbol and we’re so thrilled to be incorporating a lot of geeky (but freaking awesome) ideas into our upcoming wedding next year! 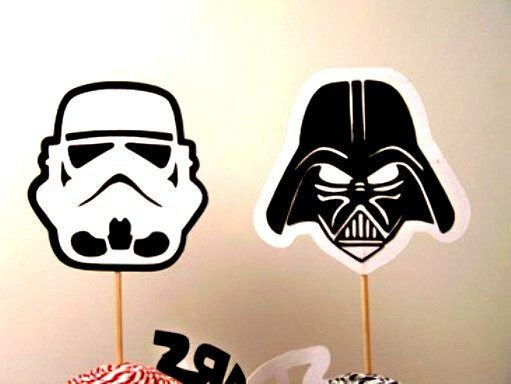 Unfortunately we can’t do May the 4th, but we did entertain the idea before deciding on a date! 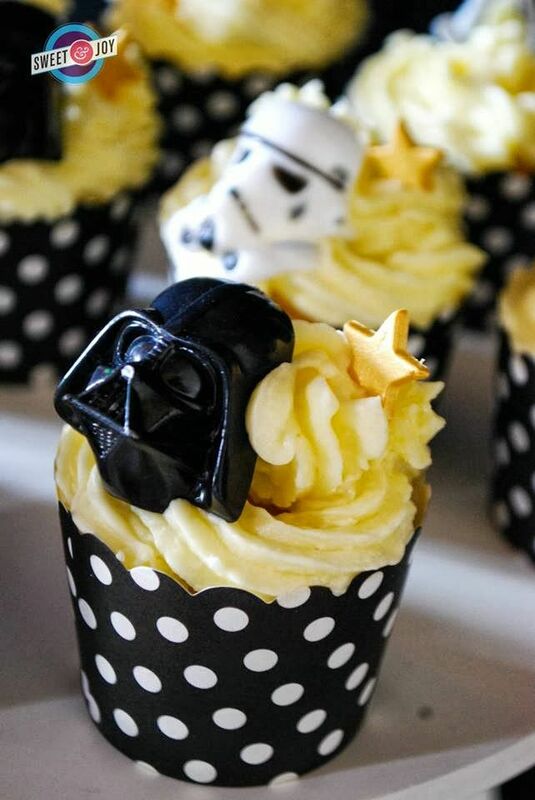 I found that awesome Star Wars wedding cake somewhere on Pinterest a while back, however I must have missed those epic cupcakes! Oh congratulations! That is so exciting! 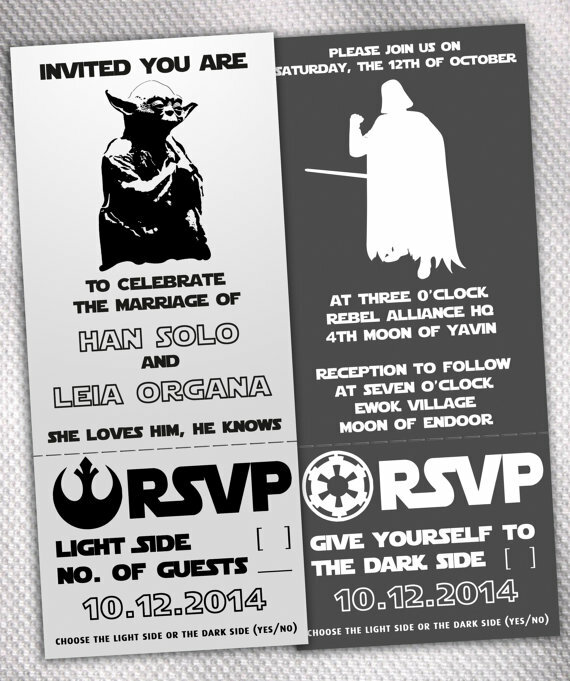 The Star Wars fans have some of the most creative and original ideas, I could search through all of their party ideas for days and still see new, awesome new designs.